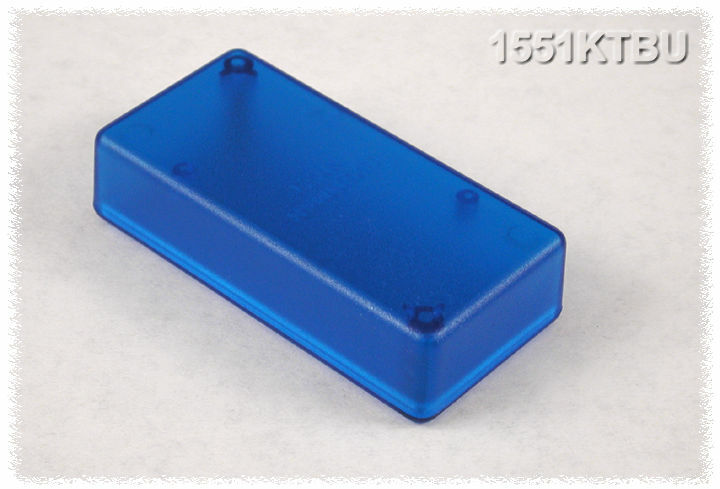 Molded in translucent blue ABS plastic (translucent to blue, white and near white LEDs, readouts & displays). Link here to the original 1551 series (in solid black & gray ABS). Complete with lid and two self tapping black plated screws.